SPharm is a Quebec based firm specializing in regulatory affairs and product development services. Ms. Picard holds a masters degree in hospital pharmacy and has held key regulatory positions at Bristol-Myers Squibb Canada, Rhône-Poulenc Rorer (now Sanofi), as well as with a Canadian CRO. Her experience encompasses pharmaceuticals, biologic, and biotechnology products, among others. 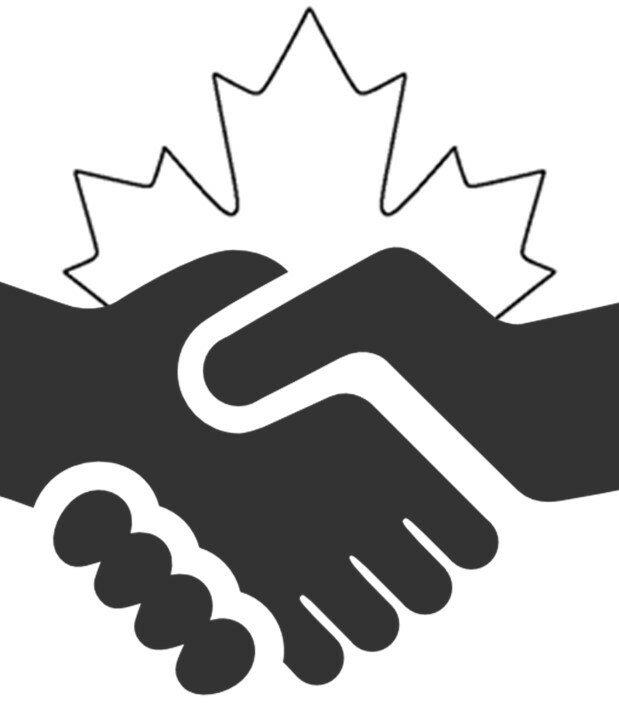 Why is it important to have someone with specific expertise in Canadian regulatory affairs? It is important to facilitate the global Canadian submission process and all post-approval activities. It’s also important to know that Health Canada prefers speaking with contacts that understand the Canadian medical as well as regulatory environment, whether they’re sponsors or their representatives. The support of a Canadian regulatory consultant is key for the submission of a clinical trial application. But it is most important for the global product development strategy, particularly when dealing with niche products used for treating orphan or life threatening diseases. By understanding Canadian as well as foreign regulatory environments, a Canadian consultant can provide the best strategic initiative for timely access to the Canadian market, keeping the global regulatory initiatives in mind. The regulatory paths for market access in Canada are essentially threefold. First there is the standard regulatory new drug submission path, then there is the notice of compliance with conditions (NOC/c) path, usually applicable for oncology products, and finally there is the priority review path. One of the criteria for an NOC/c status is that the product be used to treat life threatening diseases. 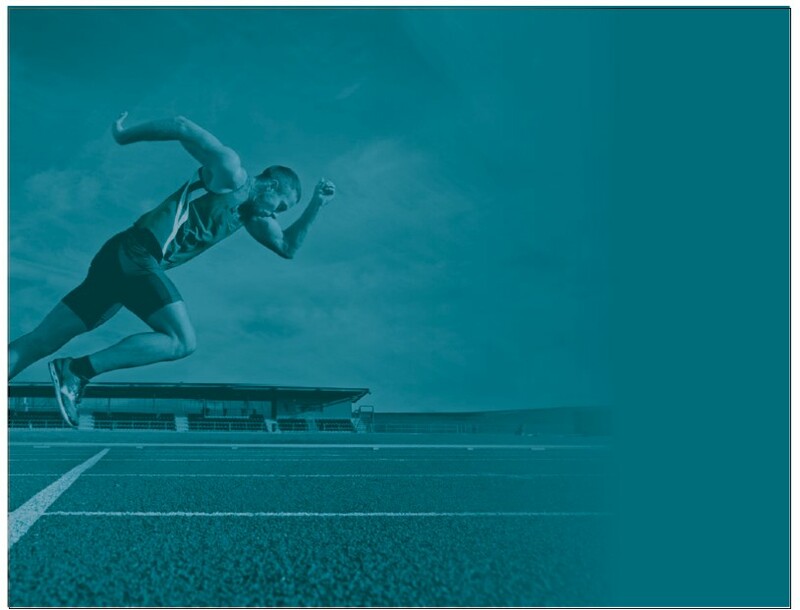 The NOC/c can be granted with less clinical data than usually expected, that is with Phase II study results or interim reports of Phase III studies. As the study design is important to obtain this NOC/c status, having a Canadian consultant in the early stage is an advantage for early input to establish the ideal strategy, as well as to help navigate through the requirements that are specific to Canada. How has the evolution of regulatory affairs affected the way clinical trials are conducted now versus 10 years ago? With regards to clinical trial applications, Health Canada’s requirements have not changed much. However, they’ve had no choice but to open up to new strategies – novel agents, personalized medicines, or orphan drugs for which there is no official designation yet – and accept novel trial designs. Health Canada is very open to hear how novel therapies can help Canadians and there’s a clear opportunity for collaboration here. What adjustments have drug developers had to make to respond to challenges associated with targeted therapeutics? The key adjustments for drug developers have been to increase transparency with the authorities and open up to pre-submission meetings or scientific advice meetings. These meetings become even more efficient when you bring in local experts and key opinion leaders. The purpose of this is to discuss strategies and requirements with the authorities and to come up with agreements for the drug development activities. Meeting with Health Canada is not a requirement, but it’s highly recommended for novel therapies that would not have the same clinical data package that would usually be required or expected in Canada for market access. With regards to submission content, contrary to common belief, Health Canada follows similar requirements to those of the FDA and EMA, therefore, usually only minor adjustments are necessary when submitting the marketing application. 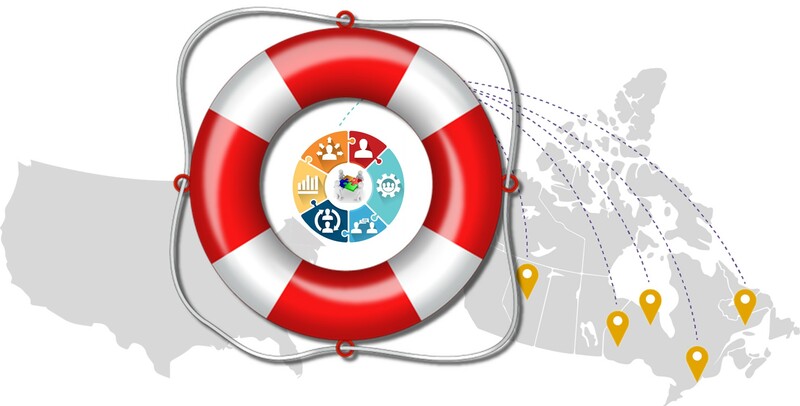 What role does Canada and Canadian data play in the sponsors’ overall regulatory strategy? 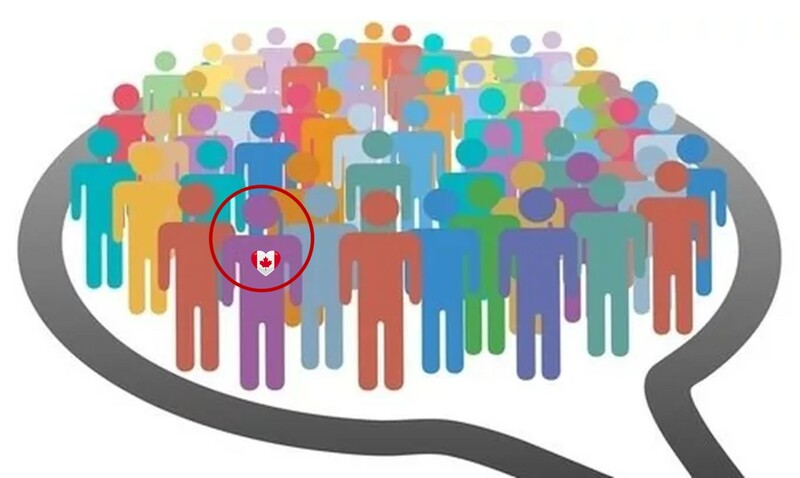 We know we can’t compete in terms of population, but Canada does have numerous strengths, making it a very attractive host for early phase clinical trials. 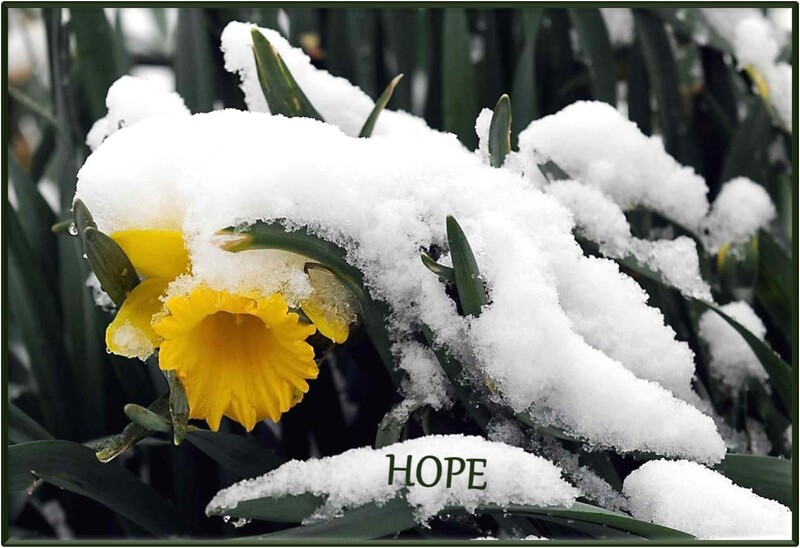 These strengths include highly trained clinicians, the presence of key opinions leaders, world-class investigators, renowned medical care standards and a well diversified population, all of which are desirable for testing new drugs. Now over the years we’ve heard myths, misconceptions, and misinformation circulated about Health Canada’s clinical trial application process and the overall regulatory environment in Canada. Would you mind clarifying a few for our listeners? Myth #1: Health Canada’s clinical trial application process is complex, slow and inefficient compared to the submission processes in the US or EU? I’ve heard that before but it’s actually the opposite. When the process is properly understood and the sponsor or the representatives have established contacts with Health Canada, the clinical trial application in Canada is relatively simple and so is the review process. The actual submission structure is also simple and the content requirements are actually less than in the US and quite similar to Europe. There are no non-clinical, nor clinical study reports needed in the clinical trial application. What is needed is the administrative documents plus key scientific documents, which are the protocol, the informed consent form and the investigators brochure. There’s two Canadian specific templates required that we need to generate: the protocol summary as well as the overall quality summary. All of these are quite easy to prepare. The review process is also efficient. A 30-day default review period applies. If questions are raised during the dossier review a response must be provided within two calendar days. And by way of comparison, in Canada there is no clinical hold period like in the United States. The review period is always 30 days, whereas in some European countries the review period can be as long as 60 days or more, and in the US it can vary. Due to the standard 30-day review period, I believe it does facilitate the ethics review submission planning, which speeds up clinical trial start times. Myth #2: Health Canada is not that open to early phase trial designs and prefers late phase studies with compounds close to approval? This is also not true. Health Canada is very open to all phases of clinical trials for both early and late phase. If the product is innovative or has the potential of being granted an NOC/c, we do recommend sponsors meet with Health Canada to ensure that the study trial design and the clinical development plan is aligned with the requirements for an accelerated access to market. Myth #3: Health Canada requires that all study documents and tools be translated to French? Not at all. Both official languages in Canada, that is English and French, are accepted. That being said, the regulatory dossiers are usually submitted to Health Canada in English. French dossiers, or the supporting documents that are in French, are also acceptable, however, the review could be a little more challenging since most of the Health Canada reviewers are Anglophone. The documents that need official French translation are the labels and the informed consent forms. Nevertheless, it is the sponsor’s obligation to perform the translations and guarantee that it represents 100% the original English version. And it’s important to note that the French translated documents do not need to be included in the clinical trial application. Myth #4: Health Canada requires that all sponsors have a legal or scientific representative that resides in Canada? A scientific or medical officer residing in Canada that represents the sponsor and who’s responsible for providing an attestation with respect to the clinical trial application or the amendment that is being filed, is required. There is no additional information available in the regulations or guidance related to the Canadian officer. Therefore, any Canadian scientific personnel that are authorized by the sponsor to submit the application on their behalf and to be the representative can be the signatory. Normally the regulatory agent or the CRO can sign the clinical trial application on behalf of the sponsor. Myth #5: Unlike the FDA where the IND submission may cover all protocols for a single compound, Health Canada requires that a new clinical trial application submission be done for each and every protocol without exception? This too is false. Drug developers may submit more than one protocol into one single clinical trial application. Each protocol would then be considered a different dossier with a different control number assigned to them and an approval per protocol at that time would be issued. One needs to understand that globally the process is quite similar in the US and Canada, however, the terminology used is different and this can cause some confusion. In the U.S., we see one IND per product under clinical development, which is open to adding new protocol amendments etc… Clinical holds can apply to these INDs and the duration of the holds may vary. In Canada, there is a clinical trial application process, whereby one or more protocols can be submitted at once. New protocols are submitted as new CTA under the same product file number. There are amendments and notifications that can be brought to clinical trial applications that are approved. An amendment is considered a major change to an approved protocol or quality dossier, and therefore requires the same 30-day default review period. Minor changes are submitted as notifications and no review period applies. Now, as mentioned, a new protocol must be submitted via a new clinical trial application. However, cross-referencing to an approved clinical trial application already on file for sections that are not changed, is possible. For example, cross-referencing to an approved investigator’s brochure or to an approved quality dossier. 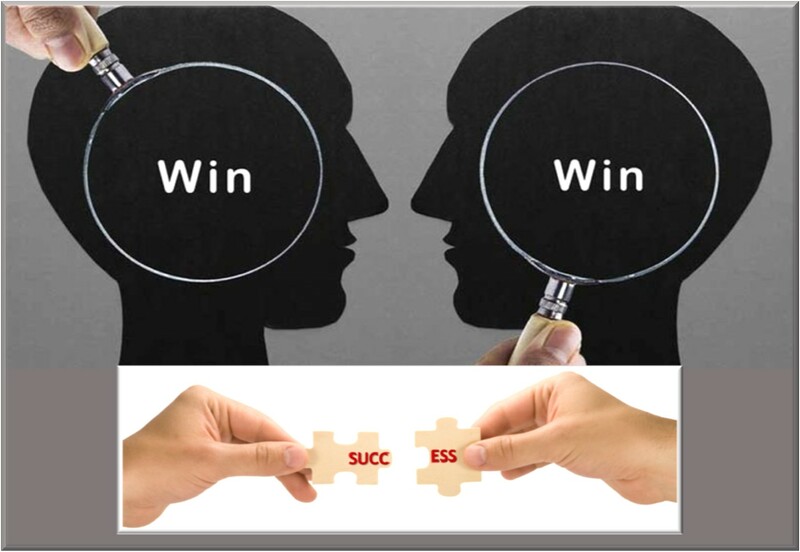 Therefore, it reduces the submission requirement and content. The process is simple and very similar to an IND amendment in the U.S., even if it’s classified as a clinical trial application in Canada. Myth #6: Health Canada will not approve clinical trials designed with more than one investigational product? This is also false. With the appropriate quality information for both investigational products, Health Canada will review the dossier and approve it if it meets the Canadian requirements, and that will be under the same 30-day default review period. Myth #7: Health Canada’s safety follow-up policies and guidelines are more stringent than those imposed by the FDA? No. The requirements are similar in Canada and in the U.S. for clinical trial applications. However there is new legislation that was proposed in 2013 that’s entitled “Protecting Canadians from Unsafe Drug Act” which will bring amendments to the Food and Drug Act under the Bill C17. This new legislation will apply to marketed products and will bring Health Canada up to speed with post-marketing safety monitoring activities conducted elsewhere in the world. Will this impact in any way early phase trial design? No, this will not have any impact on the clinical trial applications. It will apply to marketed products only. What advice can you offer oncology drug developers about conducting their clinical research in Canada? We clearly recommend that oncology drug developers come to Canada early in their drug development process. Should the drug be innovative or life saving, we will recommend a general regulatory strategy and based on this initiative request a meeting with Health Canada to ensure that the planned development will meet the Canadian expectations. In addition, adding Canadian sites to a multi-centre trial, for example, is a great initiative to expose Health Canada, physicians as well as patients to novel therapies that will eventually come to market and consequently raise interest and awareness. At the same time, our Canadian population can benefit from these novel therapies. We also have experts in oncology, key opinion leaders with internationally renowned reputations, interested in participating in Canadian clinical trials, so this helps to make Canada an attractive region. The fact that the Canadian population is very similar to that of the US, makes Canada an interesting extension of the U.S. initiative for patient recruitment. And finally, early Canadian initiative can build the authorities’ confidence with a sponsor and product and eventually facilitate the accelerated access to the Canadian market through the NOC/c path, should the product meet the requirements. Please share your thoughts and provide your comments below. 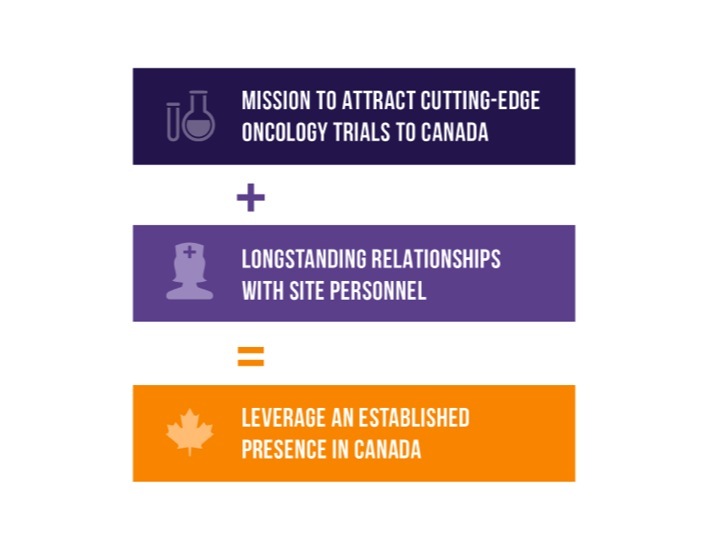 Better yet, subscribe to this blog or our Podcast series for more information on Canadian Oncology Clinical Trial Expansion. You can also follow us on Twitter and LinkedIn. To learn more about SPharm please visit them at www.spharm.ca.